Large wounds secondary to mild trauma in the elderly are a frequent reason for consultation. 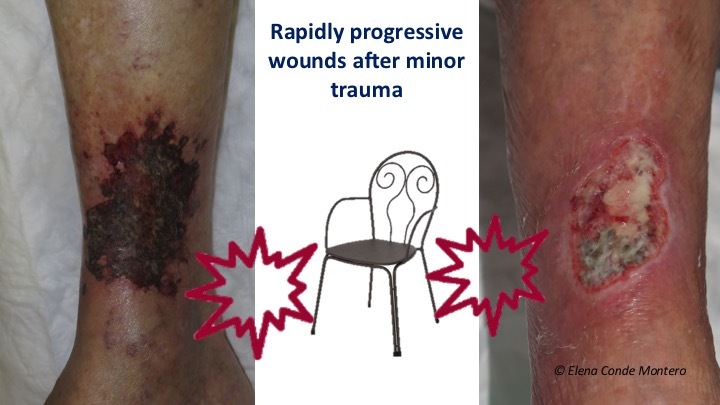 The patient and his relatives describe very well the clinical evolution of the wound: “After a small blow with a chair … It started as a very small wound… It has grown rapidly”. Normally these are wounds that at first have an insignificant clinical aspect, but progressively acquire a purplish or blackish colour and, in a few days, become extensive, deep and very painful wounds. In addition to age, these patients often have comorbidities such as hypertension or diabetes. These are two wounds after mild trauma in women aged 86 and 79 respectively, both with well-controlled hypertension and diabetes. This clinical description may have reminded you of Martorell hypertensive ischemic ulcer (See post: “Key elements to understand Martorell ulcer“). In fact, some of these post-traumatic lesions are Martorell ulcers, as they have the characteristics traditionally associated with this entity (typical lateral and posterior location on the leg, bilaterality, hypertension or diabetes mellitus). The rest of the wounds that do not meet the criteria included in the traditional Martorell definition, I like to call them “post-traumatic ulcers due to age-associated arteriolopathy”. Skin biopsy does not help to differentiate them because, if we look at them under the microscope, both types of wounds present occlusive subcutaneous arteriolosclerosis. The recent article “Cutaneous Arteriolosclerosis Is Not Specific to Ischemic Hypertensive Leg Ulcers “1 presents the results of a retrospective study comparing leg biopsy findings of patients with and without Martorell ulcer. The authors conclude that arteriolosclerosis present in both groups is associated with age and high blood pressure. Let us get down to business. It seems that the available evidence suggests that the first cases described of Martorell ulcer, in patients with poorly controlled hypertension, could correspond to the pole with greater clinical (necrosis, pain and extension) and histological (arteriolosclerosis with greater hypertrophy of the wall secondary to poorly controlled hypertension) expressivity within the spectrum of “arteriolopathy ulcers in the context of age, hypertension and/or diabetes”. Let’s clarify terminology and some physiopathology to understand what occurs under these arteriolopathic wounds. What is arteriolopathy and arteriolosclerosis? Arteriolopathy is the disease of the arterioles. Arterioles are blood vessels much smaller in diameter than the main arteries. They are found in peripheral tissues, such as the skin and subcutaneous cellular tissue, and branch out to the capillaries. They have a muscular layer that makes their lumen increase or decrease depending on the information that they receive through the autonomous innervation and molecular signals. 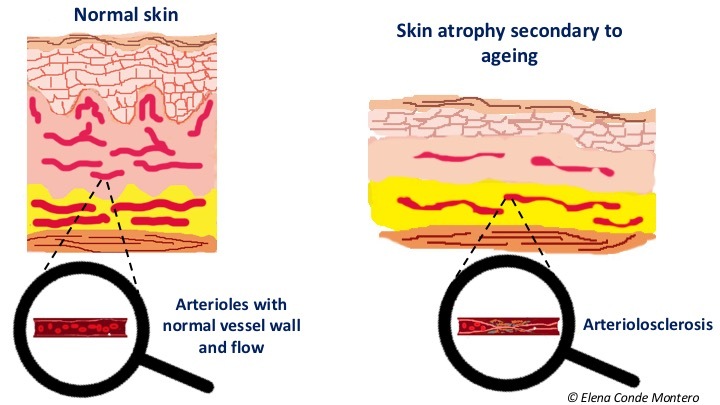 Age, hypertension and diabetes favour the process known as arteriolosclerosis, which consists of the thickening and loss of elasticity of the arterioles walls, in some cases with the presence of calcifications, with the consequent reduction of their lumen. These findings can also occur in spite of an adequate control of arterial hypertension with pharmacological treatment. What happens to the skin with arteriolopathy after trauma? 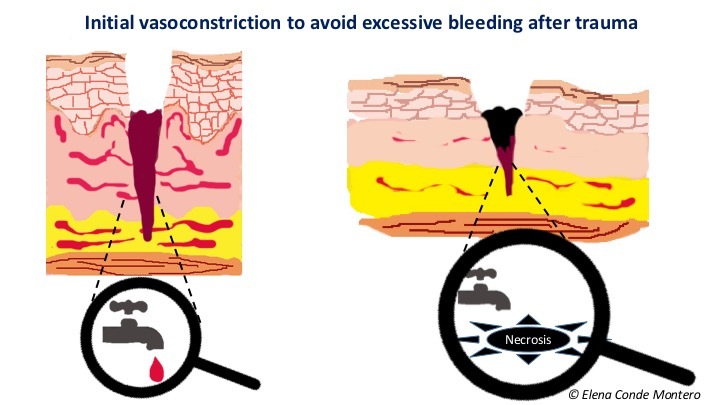 A wound secondary to trauma always has a first phase in which vasoactive substances are released to produce a vasoconstriction that limits tissue damage, bleeding and facilitates clot formation. To do this, arterioles limit the flow by contraction. After this vasoconstriction, an important vasodilation is produced with an increase in the permeability of the arterioles wall, so that cells (neutrophils, macrophages) and inflammatory molecules may reach the site of the lesion and the inflammatory phase begins. In patients with arteriolopathy, that is to say, with less reactivity of the arterioles wall, calcifications and calibre reduction, this vasoconstriction may imply a compromise of tissue irrigation prolonged in time, with the consequent ischemia. Subsequent vasodilatation with release of inflammatory mediators increases necrosis (cell death), and here begins the vicious cycle of necrosis -inflammation. What is the vicious circle of necrosis-inflammation? At first, the extent of cell death depends on the duration and intensity of the ischemia during that initial vasoconstriction. Damaged cells release molecules that alert the body that an injury has occurred. These signals are pro-inflammatory, which intensify the first phase of the healing process (the inflammatory phase).2 This phase, characterized by hyperemia, plasma protein output from the capillaries and recruitment of leukocytes, is essential to ensure cleansing and protection against different pathogens (see post “Brief overview of wound healing“). 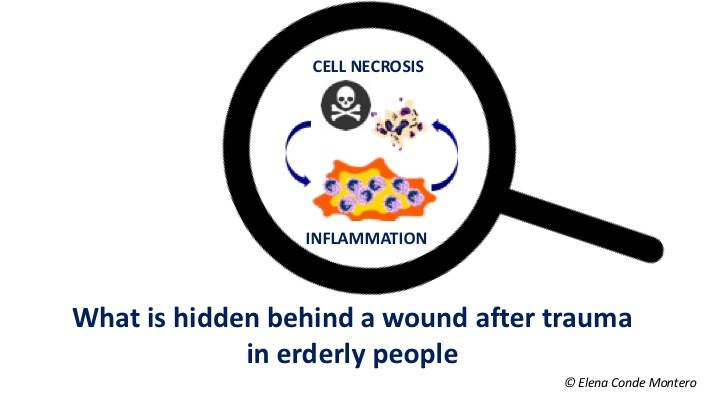 However, if maintained over time, inflammatory mediators and cells produce uncontrolled destruction of cells (necrosis) and tissue (proteolytic activity) that promote wound chronicity. Therefore, it seems logical to think that in older patients in whom a rapid extension of the wound is observed after trauma, initial necrosis by prolonged vasoconstriction stimulates the inflammatory phase. Necrosis secondary to this inflammation would maintain the pro-inflammatory mediators with the consequent extension of the wound. How do we stop this vicious cycle? 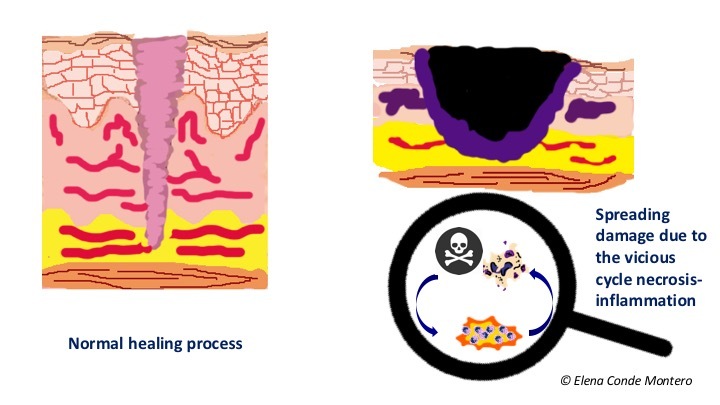 In order to stop the pathological cycle of necrosis-inflammation, an anti-inflammatory and neo-angiogenic strategy is ideal, so that tissue destruction is stopped and more oxygen may be provided to the wound. Topical corticosteroids and early punch grafting, which we commonly use in our clinical practice, could fulfill these functions. The benefit of both treatments has been published in Martorell hypertensive ischemic ulcer (See post: “The interest of the topical corticosteroid in Martorell’s ulcer“, “The interest of early punch grafting in Martorell ulcer“). Considering that Martorell ulcer and age-associated post-traumatic arteriolopathy share clinical aspects and both present arteriolosclerosis, lesions in the same spectrum could be considered to benefit from the same treatment. After cleansing and debridement of the bed, in order to favour graft taking, we frequently use a single-use negative pressure therapy device (See post: “Punch grafting and negative pressure therapy: a successful couple“). This is the evolution of the two progressive post-traumatic wounds with which we have begun this post. 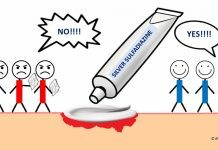 In the first case, after topical corticosteroid application and autolytic and sharp debridement, the wound was treated with punch grafts and negative pressure. Coverage with grafts was performed in two sessions, separated by one week (the central photo was taken after the second procedure), with complete epithelialization in less than 7 weeks. 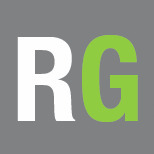 We did not wait until we had the optimal bed for grafting because, although in the first procedure there was no punch grafting, the pain decreased, necrosis was limited, the wound contracted and granulation tissue improved. With this improvement of the bed, the second procedure was able to be performed in better conditions in order to favour punch grafting and rapid complete epithelialization. In the second case, the clinical appearance of the wound bed observed on the left image was obtained after the failure of an initial punch grafting procedure. After the second application of grafts and negative pressure therapy, we achieved complete graft taking. The third photo shows the clinical appearance 7 days after the procedure. Before starting interventions to promote epithelialization, chronic venous insufficiency or peripheral artery disease must be ruled out. Whenever there is no contraindication, compression therapy, due to its anti-gravity and anti-inflammatory effect, will promote healing of these lesions. Finally, it should be pointed out that in the case of a black-purplish wound in an older patient, which progresses rapidly, deep dissecting hematoma must be ruled out. As you can read in the post “Wounds secondary to dermatoporosis or chronic cutaneous insufficiency“, this hematoma, which is the most serious stage of skin fragility, requires drainage as early as possible to prevent the progression of necrosis secondary to ischemia. 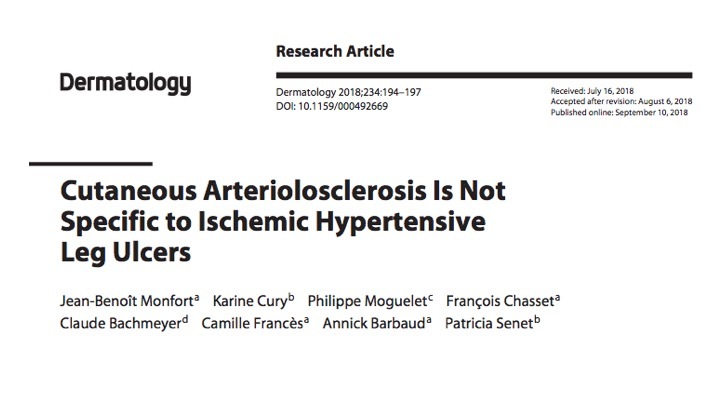 Monfort JB, Cury K, Moguelet P, Chasset F, Bachmeyer C, Francès C, Barbaud A, Senet P. Cutaneous Arteriolosclerosis Is Not Specific to Ischemic Hypertensive Leg Ulcers. Dermatology. 2018 Sep 10:1-4. Rock KL, Kono H. The inflammatory response to cell death. Annu Rev Pathol. 2008;3:99-126.